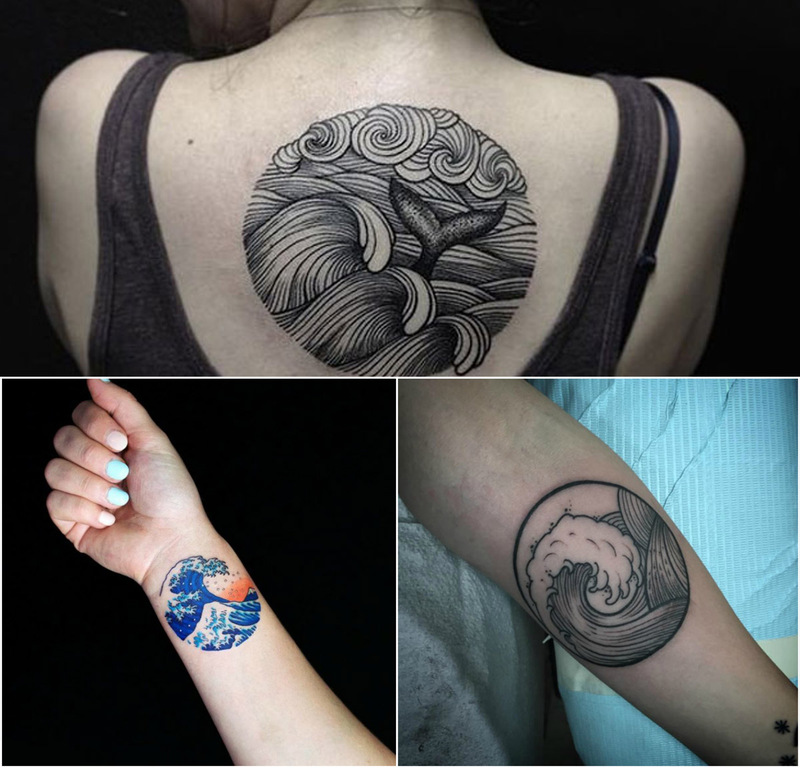 Tattoos are a unique way of flaunting style and to voice the opinions and endorsements to certain ideas at the same time. These unique styling elements have a lot to convey. Also, these make you look different, classy yet bold. When you want to shout out to the world what mental state you are in or aspire to be in, tattoos come as a solid support. 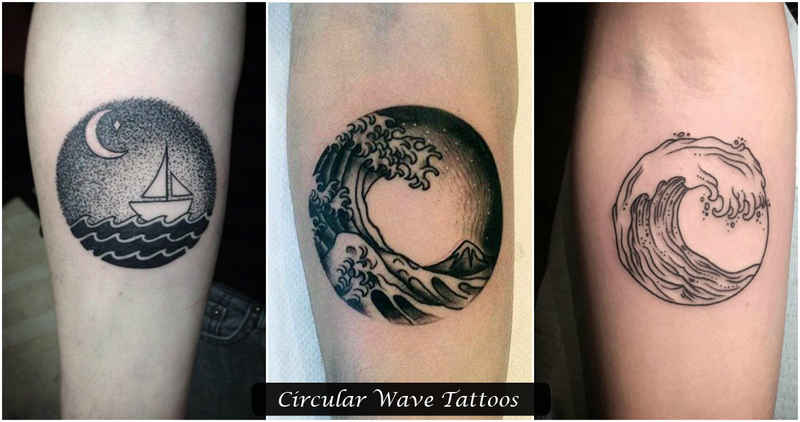 In the series of nature-inspired tattoos, wave tattoos are the one that have made a mark amongst the fashion lovers. This stylish tattoo can enhance your beautiful back in bohemian style. 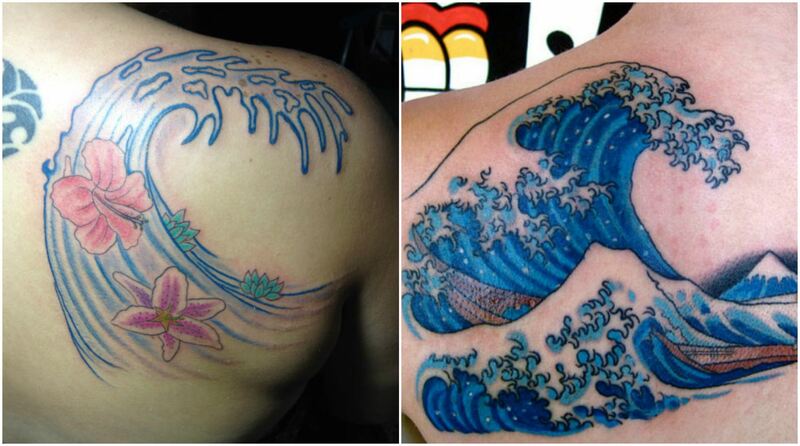 It is composed of line work waves and represents your ability to sail through the tough times with head up. This can be carved on the side of the calf or forearm. It shows that your desires know no bounds; still your mind conforms to the rules and respects the norms of the society. Your personal space, however, is important to you. Making a statement becomes easy and effortless with this tattoo. 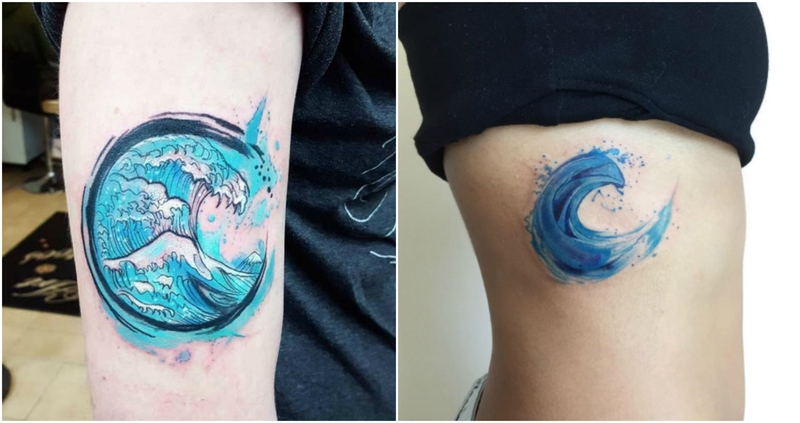 Taking a break from black and dark blue ink, you get to enjoy serene water color splashed on to the wave tattoo in an artistic manner. A daffodil combined with colorful barrel filled of wave, this tattoo is representative of your love for adventure trips in a far-off island. 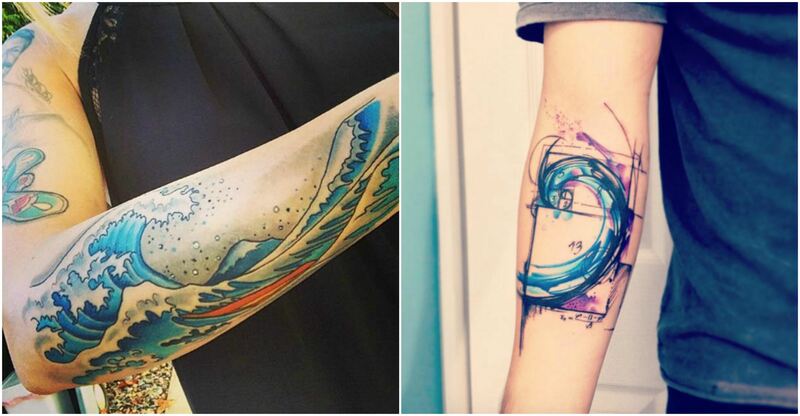 You can make your arm exceptionally colorful by adding beautiful colors of various choices. 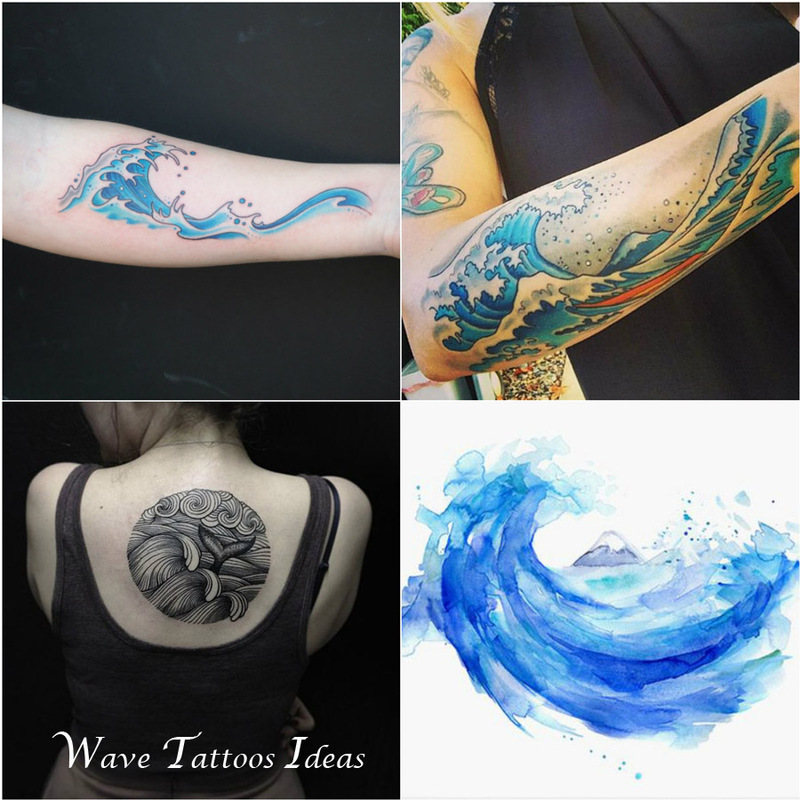 So, when your life is inspired by the motion represented by waves and you are basking in the freshness offered by nature, just go for wave tattoo and remind yourself of all the good things happened to you.